Is “Green New Deal” the Political Equivalent of Trump’s Wall? 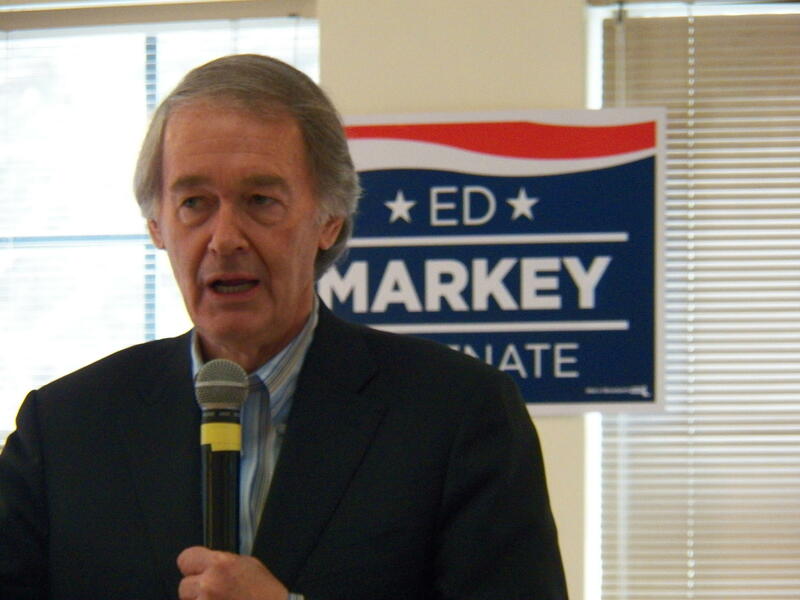 Senator Markey, the co-sponsor of the Green New Deal bill. Last week, Congressional Democrats unveiled a resolution that articulated a vision for shifting the American economy to a clean energy future. The so-called “Green New Deal” would encourage alternatives to fossil fuels with the goal of creating jobs in wind, solar, and mass transportation. President Trump’s reaction to the “Green New Deal” was to mock the idea at a political rally. On the other side of the aisle, Democrats defended the move away from coal and oil as a lofty goal – similar to President Kennedy’s proposal of putting a man on the Moon. Politically, the Green New Deal has no chance of passing and becoming law, as written -- with the Republican majority in the Senate opposing it, along with the President. The resolution would set a nonbinding goal of the U.S. cutting greenhouse gas emissions down to zero as a method of fighting climate change. But passage was never the goal of the sponsors, who said they wanted to create a positive blueprint for the American future, beyond just opposing President Trump. What’s been most interesting about the news coverage of the Green New Deal is how several commentators have portrayed it as a leftist radical equivalent of Trump’s radical right wing populism and its expensive and impractical promise of building a wall along America’s 2,000 mile border with Mexico. This argument is an example of how the traditional media has again fallen into a false equivalency trap in covering the Trump Administration. News outlets consistently portray the Democratic and Republican arguments as essentially the same and equal, although opposite. Journalists are failing to do their jobs by calling out the lies and deceptions that are the basis of the Trumpian positions. In other words, as much as is practical – not to impose draconian prohibitions that would shut down the transportation sector or the energy industry. President Trump made that up. The Green New Deal is perhaps overly ambitious, but it is based on the truth: At least 97 percent of climate scientists have concluded that human greenhouse gas pollution is driving climate change. This change is causing flooding, wildfires, droughts, and other disruptions that cost the U.S. economy billions of dollars. On the other side, President Trump’s whole argument that we must build a wall along America’s 2,000 mile border with Mexico because we face an national security emergency is built on falsehoods. According to federal statistics, illegal border crossings have been steadily declining for almost two decades, and immigrants commit crimes at lower rates than American-born citizens. What we really need to build in America is a not a wall, or even the Green New Deal. Before we consider any of that, we desperately require what Ernest Hemingway said was a journalist’s most important tool: a good B.S. detector.